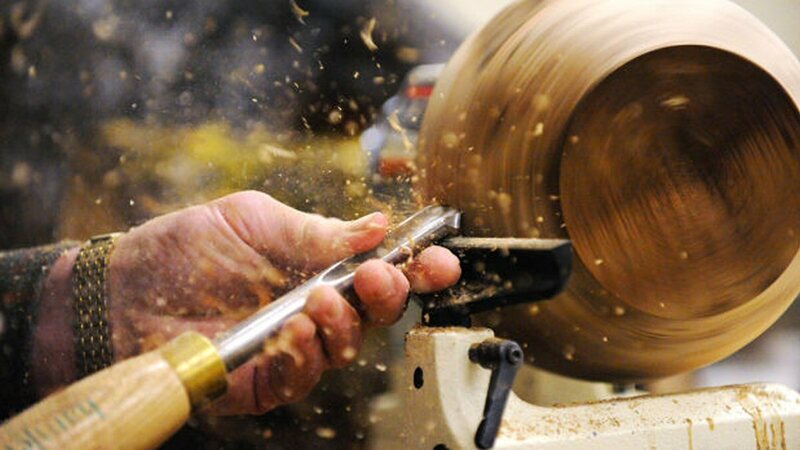 Since 1989, the main purpose of the Inland Woodturners is to provide a forum where those interested in woodturning can share their knowledge and expand their involvement in this rewarding pursuit. Our regular monthly meetings serve to inform, inspire, and stimulate woodturners, as well as anyone interested in becoming involved in this growing craft and art form. In addition, our meetings provide a common ground for people of similar interests to share ideas, techniques, and information about materials and equipment. In 1992 we affiliated with the American Association of Woodturners and became the 50th club in the AAW. Both the organization and the meetings are for woodturners of all skill levels, from the beginner to the professional. It is an excellent way for anyone with little or no experience to learn the craft of turning. In fact, it is not necessary to be an owner of a lathe. But, the information gleaned from other woodturners at our meetings will help anyone trying to evaluate various lathe options and sources. The Inland Woodturners is a not-for-profit organization, and at present, does not charge dues. So far, donations, and the proceeds from a “wood raffle” at most meetings, have provided operational funds to carry on our goal as an educational organization interested in promoting the art and craft of woodturning.